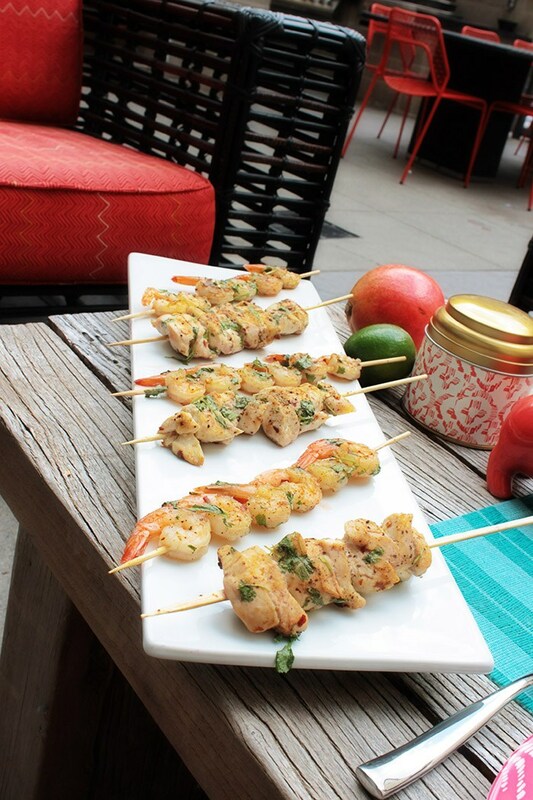 Twist On Tequila Lime Shrimp! Lovelies! As promised we have the recipes for all of our PAMA inspired dishes we had at our Summer Celebration Party! 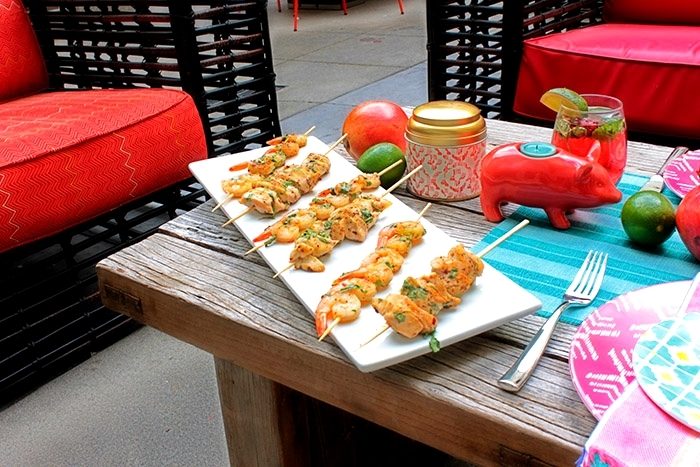 Our first recipe is for this amazing tequila lime shrimp with a twist! A PAMA twist of course. Because PAMA is made with all-natural pomegranate juice, premium vodka and a touch of imported tequila, it creates a refreshing twist on the usual tequila lime shrimp that you are used to. 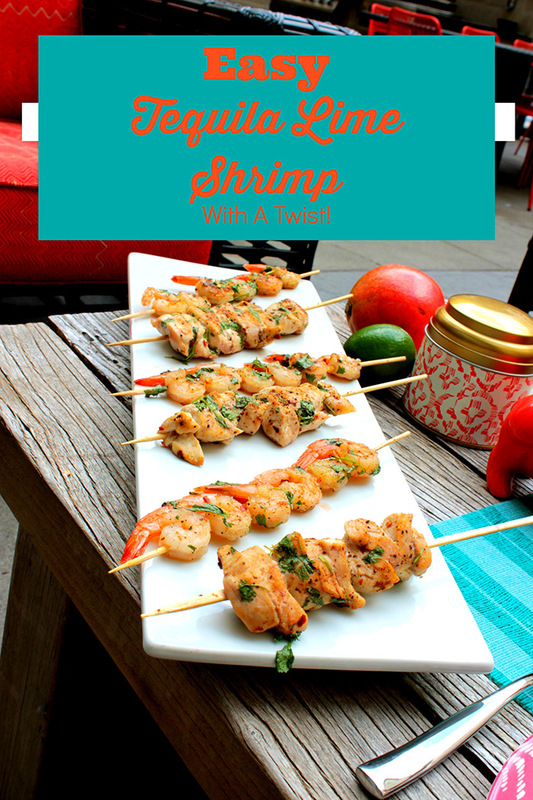 These shrimp take 10 minutes to make so they are SUPER EASY but they are full of flavor and a perfect bite for summer…especially for parties! DOUBLE BONUS! This recipe totally works for chicken skewers too! Let’s just say PAMA with lime and cilantro is a winning combination! Stay Tuned For Tomorrow’s PAMA Pomegranate Raspberry Vinaigrette Salad~ Let’s get to this yum! Don’t forget about PAMA’s Celebreate Summer giveaway for $500! There is still time! Contest ends on 7-20! PAMA has an amazing summer contest going on from June 22-July 20th where the grandprize winner wins $500 and the runner up wins $250! Yup two winners! Just think of the backyard patio furniture you could buy with that or new summer plates or summer entertaining dishes at your favorite store like this amazing summer party.Both winners will also win a fab PAMA Party Kit to throw a lovely summer party of their own too! Be Sure to visit their site for more information on entry and visit their Pinterest page for for summer inspiration! Disclosure: Please note this post was sponsored by Heaven Hill Distilleries Heaven Hill Family of Brands. As always, all designs, opinions, and ideas are my own. Thank you for supporting the companies that make it possible for me to keep lovely parties coming your way! Celebrate Summer With PAMA! PAMA Summer Contest! Tequila Sunrise Poptails! Watermelon Drinks To Die For!